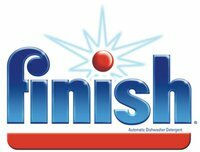 Finish will be giving away a total of 20,000 samples – 4,000 each week for the next 5 weeks of their Jet Dry! If you are one of their winners, you will receive an email letting you know when to expect your free sample. PLUS, you’ll also have a chance to enter to win 1 of 3 new BOSCH® Dishwashers! Sweepstakes runs 8/22/2011 to 9/25/2011. Open to U.S. residents age 18+. « Kids Jeans Over 50% Off Today! Fantastic publish. I’m struggling with a few these troubles.